Tunisia’s Bardo museum reopening after last week’s attack that killed at least 22 people has been delayed until March 29. 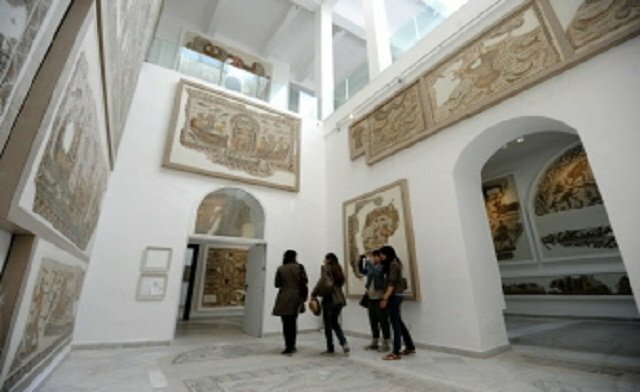 Bardo museum had been due to reopen on Tuesday morning, March 24, but there will now only be a symbolic ceremony. Security concerns appear to have halted the reopening. The reopening, less than a week after the attacks, was intended to show the gunmen “haven’t achieved their goal”. Only the media will be allowed inside the museum on March 24. A small rally was held in front of the museum. There are fears the attack – claimed by Islamic State (ISIS) – will hit Tunisia’s vital tourism industry. On March 23, Tunisian PM Habib Essid dismissed six police chiefs. Habib Essid’s office said he had noted several security deficiencies during a visit to the museum, which houses a major collection of Roman mosaics and other antiquities. Two of the gunmen were killed by the security forces during last Wednesday’s attack, while a third is on the run, officials said. The attack was the deadliest in Tunisia since the uprising which led to the overthrow of long-serving ruler Zine al-Abidine Ben Ali in 2011. Suspects have been arrested over the attack but just two gunmen were thought to have raided the museum. They are said to have been trained in Libya in an area controlled by ISIS militants.